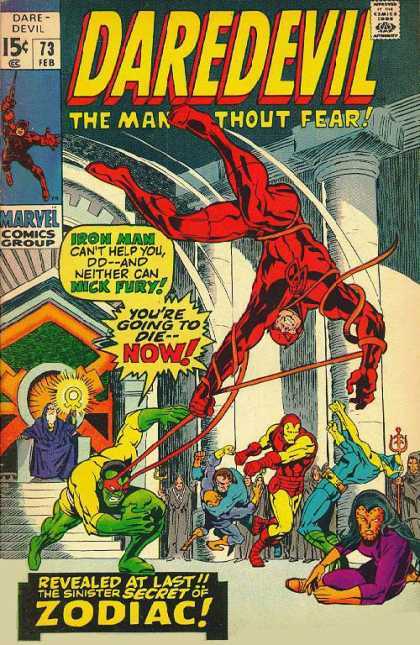 In this episode Joshua and Jamie talk about Daredevil issues 70-74, and a cross over with Iron Man in issues 34 and 35 of Shell-Head's own series. He meets Tagak, uses a headache to get out of his duties as an assistant to the DA, and teams up with a plucky gang of blind characters when some goons make the city lose its sight! The show will be going weekly from this episode forward! Oh, Capricorn, you can’t blind a blind man!